On 7th and 8th November, Fleet Pond was once again visited by the “Mudlarks” (a name given to them over a number of years of visiting Fleet Pond). Known to themselves as “The Hedgehogs”, the group’s members are all graduates of Southampton University and former members of Southampton University Conservation Volunteers (SUCV). Since graduating, the former students now work in a wide variety of fields including Environment, Transport Planning, Electronics, Computing, Coastal Management and Education, to name some of their diverse professions. After graduating, members of the group spread out from Southampton to a number of areas of the country including: Essex, Newbury, Cheltenham, Wales and beyond; however, recently, a number of the group have returned to living and working in Southampton and the surrounding area. Although, some of our members are currently sailing around the world: three on their own boat and one with the Royal Navy! 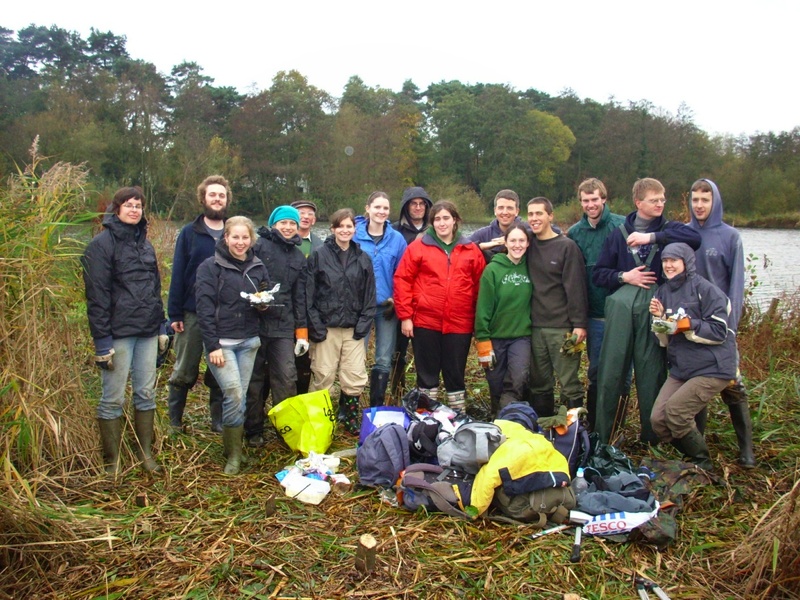 Since leaving Southampton University over the past few years, the group have remained close friends and it is conservation volunteer work which often brings them together. 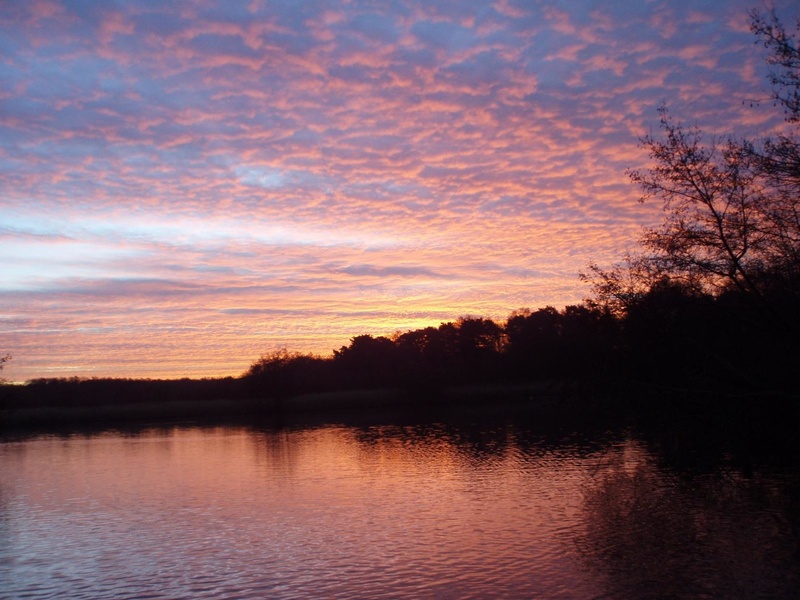 In the past few years the group has volunteered on the Isle of Mull in Scotland, on the Fens near Cambridge, at Frensham Ponds near Farnham and on Brownsea Island in Poole Harbour. 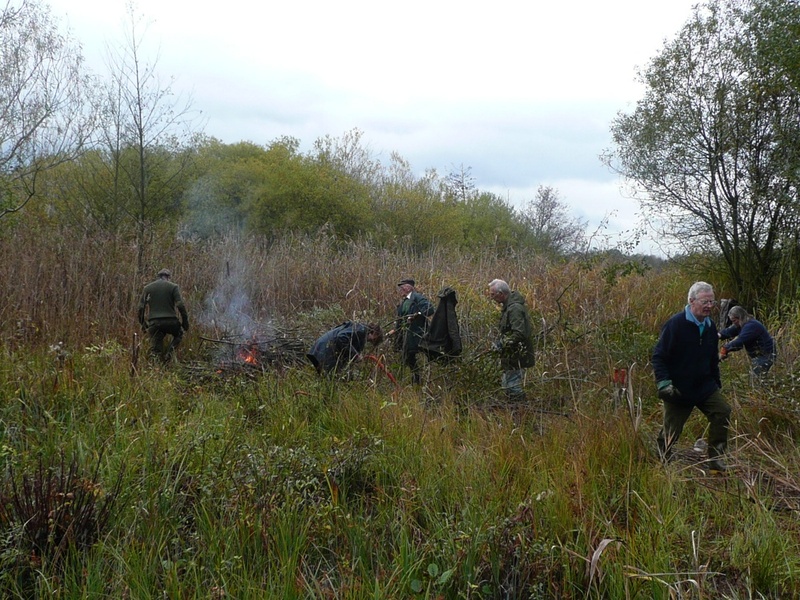 On this visit to Fleet Pond, the group set about clearing Fugelmere Island. Working on an island is a little different from many of the work parties and involves a degree of planning (and rowing) in order to ferry all of the volunteers and their tools, equipment and food (including the all important baked potatoes) across to the island. 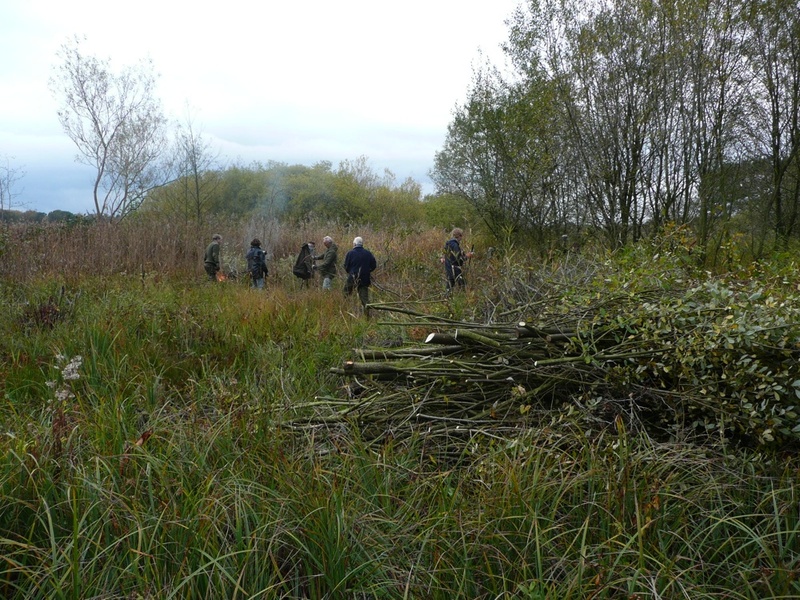 Once on Fugelmere, the group set to work removing small trees from this reed-bed island, which have grown over the past few years. Many of the Mudlarks have been to Fleet Pond more than once and a number of people can remember clearing Fugelmere only a few years ago, and are surprised by the speed at which the trees are able to re-establish themselves on the island. 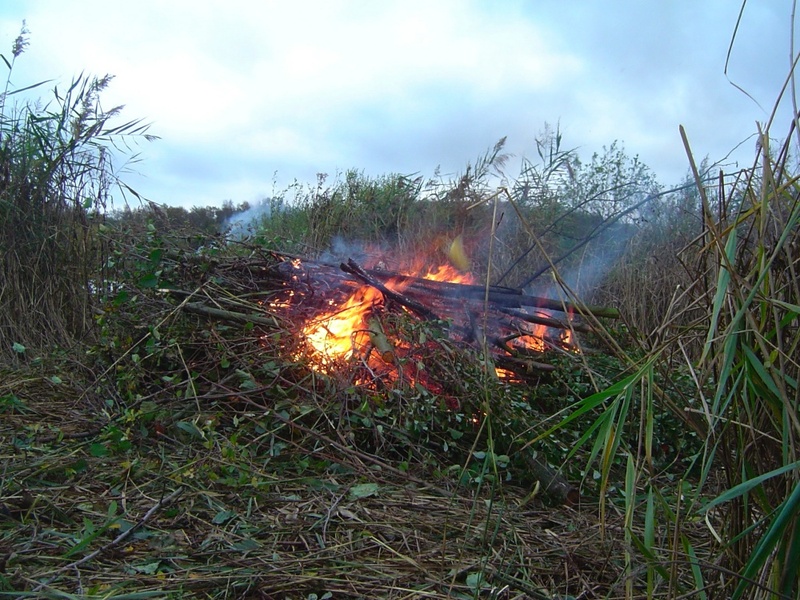 On the Saturday, the Mudlarks cleared about two-thirds of the island’s trees and the volunteers were able to savour (somewhat burned) baked potatoes, cooked on the fire. In characteristic style, a number of people managed to end up rather muddy, with Rosie getting more muddy than most! On the Sunday, the group were joined by two first-time local Fleet Pond Society volunteers, Jess and Charlie, and set about clearing the remaining trees on the islands. 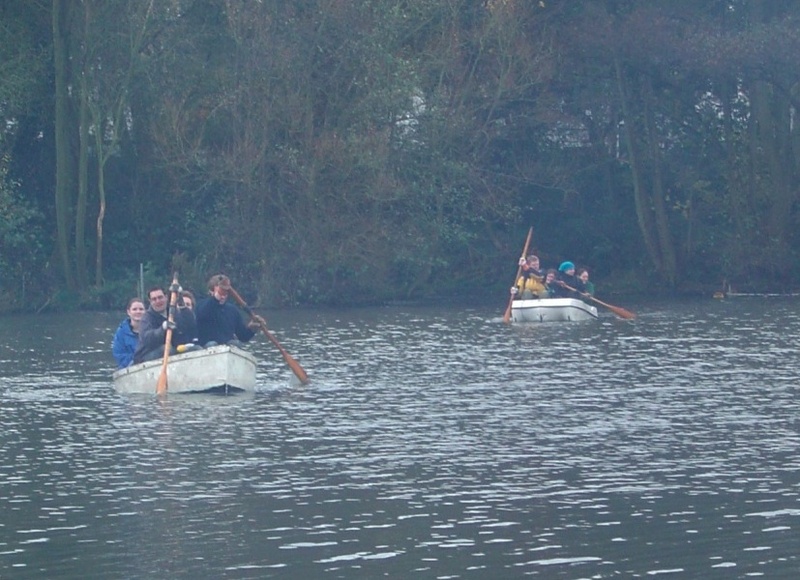 In addition, the two rowing boats were used to clear the trees which were out of reach from dry land. Although the boats were a little tippy at times, everyone stayed dry, despite the volume of wet trees that were removed from the mud! The Mudlarks had a great time and look forward to visiting Fleet Pond again next year. 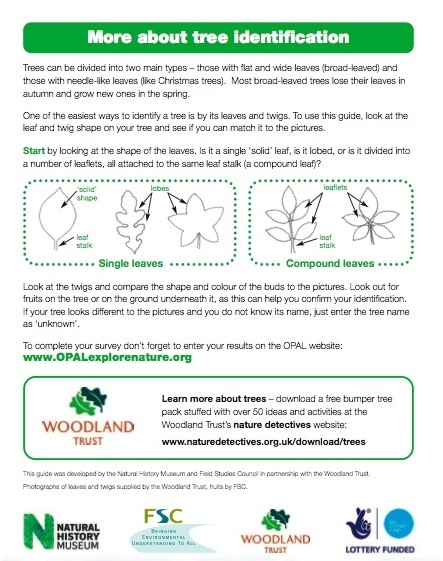 OPAL (the Open Air Laboratories network) has produced a simple and clear booklet on 9 common trees and means for their identification. It’s worth a look if you’ve forgotten the basics! It can be downloaded here. In spite of the inclement weather of the preceding days, Sunday was fortunately quite reasonable for volunteering. There was a very good turnout for the time of year with over 15 present. 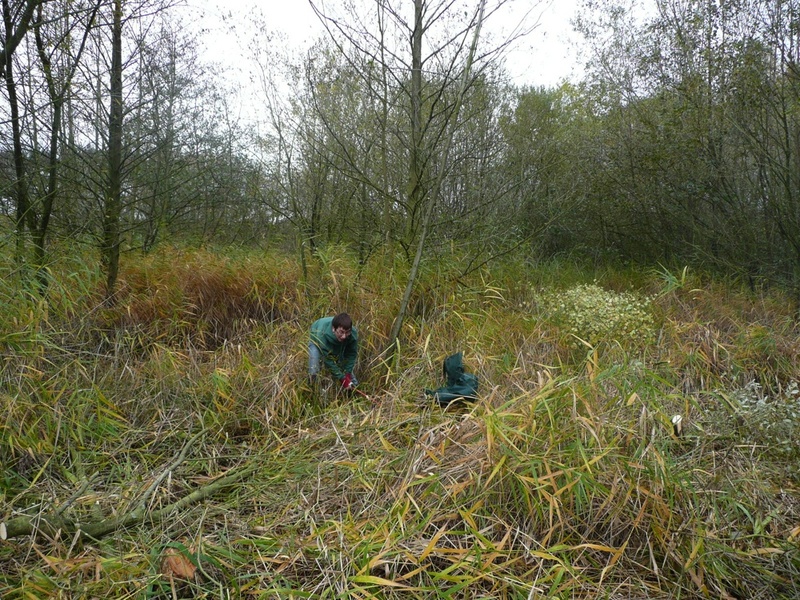 The task was to cut down the small trees and and scrub in Gelvert Marsh. It was fairly boggy but nothing that a pair of Wellington’s couldn’t handle. As you can imagine, lots of sawing was required, both for cutting the trees down in the first place (top photo) as well as removing the major branches. Some of the cut trees were put together to provide a habitat for small animals and insects (as seen in the front of the photo immediately below) and the rest were burnt (bottom photo). All in all, a good morning’s work! Eight bat boxes were put up recently in the wood just west of the Green. 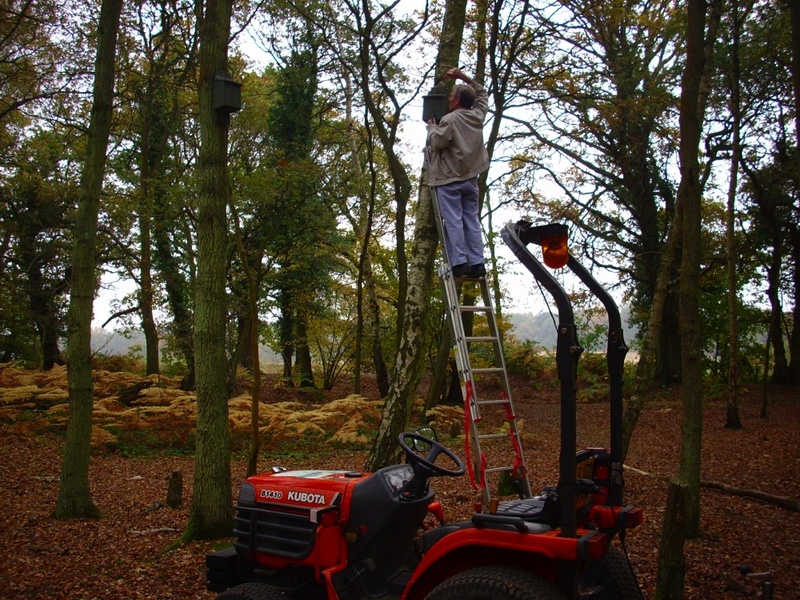 We are hoping to provide roosts for brown long-eared bats, pipistrelles and who knows what else? Shoot At A Variety Of Focal Lengths – do you want a sweeping landscape shot or something zoomed in? Keep Shooting – until you’re sure it’s all over! I hope you find these tips helpful and we’re looking forward to your creative submissions! You are currently browsing the Fleet Pond Blog blog archives for November, 2009.